If you need assistance after Hurricane Florence, please complete this form and a case worker will contact you. 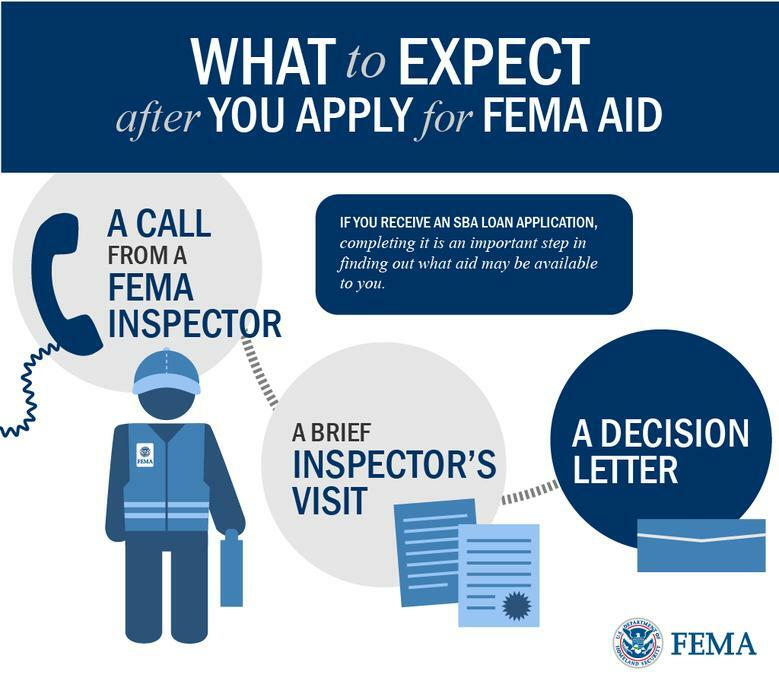 PLEASE BE SURE TO FOLLOW THESE STEPS AND REGISTER WITH FEMA! 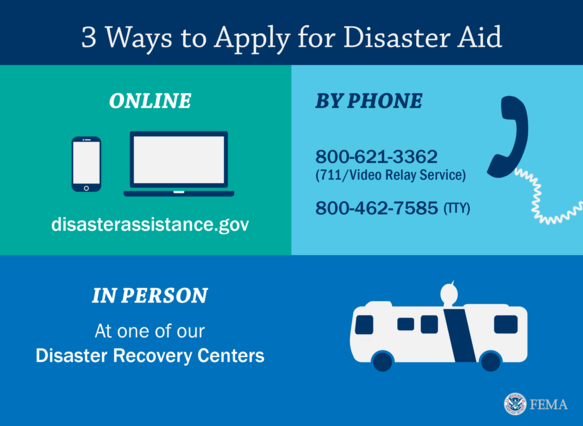 The following are the first steps you need to take to recover from the recent disaster and a brief explanation of the federal government's disaster assistance process. 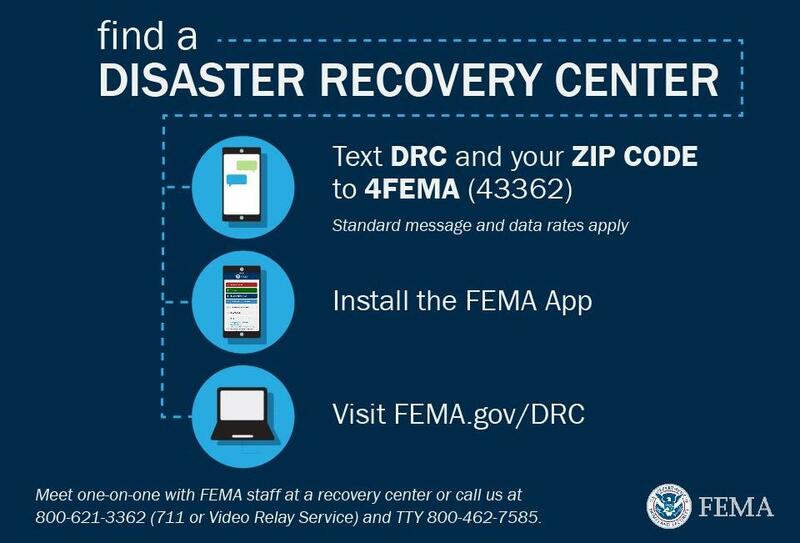 For more detailed information, please visit the Disaster Recovery Center, usually set up in the areas most affected or visit www.fema.gov or call 1-800-621-FEMA (3362). FEMA is available 24/7. Use the infographics posted at the bottom this page for more detailed information. Do you need help clearing debris, doing chainsaw work, tarping roofs and mudding out flooded homes? Samaritan’s Purse volunteer teams are working today in eastern North Carolina response sites—including New Bern. Visit Samaritan's Purse for more information. Immediate Needs (food, water, clothing, cleaning supplies) visit the Disaster Recovery Center or other Relief Organizations. Visit American Red Cross for shelter locations. If you have insurance, contact your insurance company and file a claim. Be sure to take pictures before, during and after the disaster. HELPFUL HINT: Make sure to talk to your agent about your coverage before a disaster. If your insurance does not cover all of your needs, such as money to pay for a place to stay while you fix your house (sometimes called additional living expense coverage), you may be eligible for money from the federal government. The federal government cannot give you money for items that insurance covers, but we may be able to help with uncompensated losses. If your insurance company is going to take a long time to settle your claim, you may also be eligible for help. If you do not have insurance, or have emergency needs that insurance does not cover --- Call 1-800-621-FEMA (3362) - TTY 1-800-462-7585 - to apply for federal disaster assistance. If you need assistance CCDRA volunteers are here to help! For more information on what to do if your business or farm was damaged visit FEMA. 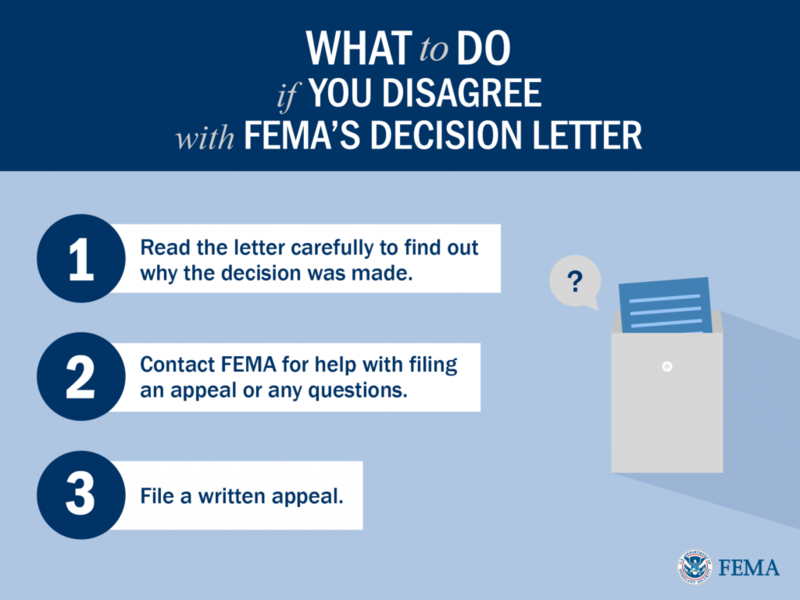 Click on the images below for more information from FEMA!